Dr. Krecko is currently a general surgery resident. She was born and raised in Hershey, Pennsylvania and completed her undergraduate education at The Pennsylvania State University where she majored in Biology and graduated as student grand marshal with honors in Biobehavioral Health from the Schreyer Honors College (BS, 2014). During her time in State College she enjoyed participating in ballet and lyrical dance, THON (pediatric cancer philanthropic dance marathon), clinical vascular health research, and Creamery ice cream-eating. 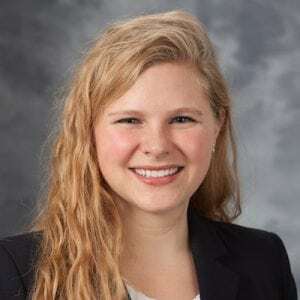 She returned home to Hershey to attend medical school at the Penn State College of Medicine (MD, 2018), where she discovered her love for surgery and fostered her interests in education and communication. Laura is proud of her Nittany Lion roots, but couldn’t be more excited to become a Badger as she pursues general surgery residency training at the University of Wisconsin.